Having previously hosting his ‘Presenters Experience’ Workshop at Curate Space, Andrew Eggelton returns with his new program. The ‘This is not my tour’ workshop, is a 4 hour Presenter’s Masterclass to learn what it takes to be a world class presenter. Artistry – Firstly, he will be working with people one on one to highlight examples and tools of his work and unique brand of Presenting. Expansion – Creating our goals only works if you know the person you need to be to reach that goal. I know, it gets deep! Effectively, we’re removing luck and building certainty by designing whom that is. If we want to be a World Class Presenter, and shift thousands of hearts and minds, then we need to know what that looks like. The expansion exercise is becoming a signature part of my training and something I’m experimenting with in workshops over the world. World Class – The first and most significant step you can take towards being a professional Speaker; is a clear understanding of what it really looks and feels like to be World Class. Opportunities are hard fought, so let’s look at what this actually looks like. Value – What is your value on stage? Know what your audience is taking away from your Presenting and how to frame this up at the beginning. By knowing your value, you’ll also be able to look at how to build your Workshops and Programs more effectively. Creating a Speakers Lifestyle – Do you want to know how to monetize speaking gigs? Forget the myth you get paid to speak; it’s all about how you monetize the opportunities. Limited to 15 people, so book now! Andrew Eggelton is an Internationally renowned Presenting Coach with a gift in helping others become congruent with their authentic, unique gift. He guides people on stage and in front of a camera to feel what it’s like when using their gift and how to clearly articulate it to others. He nurtures his clients to seek this ‘feeling’ each time they work and installs confidence in their ability and uniqueness. Calling on 24 years of experience in front of and behind the camera, working with names such as Ryan Gosling and Michael J Fox to name a couple and picking up numerous Awards, Andrew now travels all year round, speaking on stage and coaching those who wish to take themselves and their personal message to the world to empower others and leave their own legacy. ‘When you shift your Presenting from your head to your heart you’ll never forget your words again’. 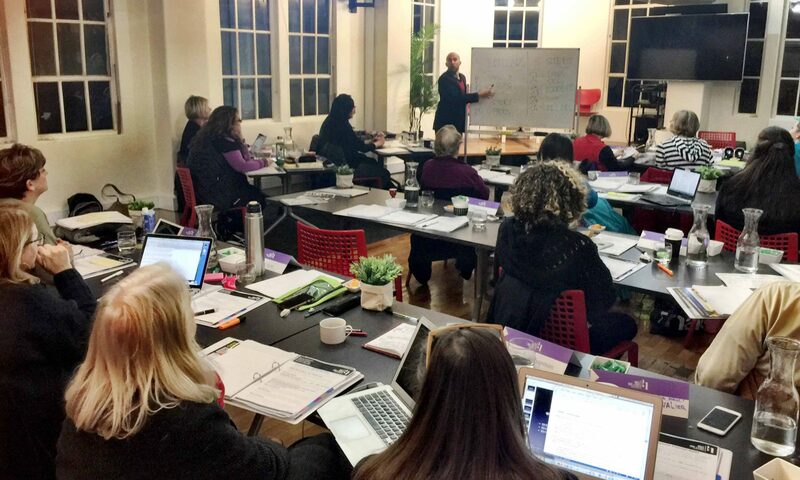 Curate Space is partnering with Andrew Eggelton for ‘The Presenters Experience’ Workshop in Melbourne on 15th March. It’s time to begin your powerful journey, deliver your unique message to the world, empower others and leave your own legacy. This half day workshop will take you through ‘The Journey of World Class Presenter’ with Andrew Eggelton. ‘World Class’ begins by dropping our Presenting from our Heads to our Hearts, so we focus on the feeling and less, the technical. The feeling is what engages our audience. For example, can you remember a movie that made you laugh, cry or changed the way you viewed the world by shifting how you felt at the time? Now can you remember all the dialogue? Exactly. ‘Self Expression.’ Understand that YOU are your cut through. By having the freedom to express who you are on stage, not only do you stand out, but more importantly, it becomes effortless. By being you, you’re giving your audience permission to be the same, as you invite each other to authentically connect. That’s a gift! Play within a ‘Framework’ created to suit each individual – If you’re listening or feeling into your audience, you’ll know what they need moment to moment as the words simply find their way to your lips. And lastly, fully ‘Embody’ your Presenting, to become an authority in your field. What happens here, is that you truly believe in what you’re doing, which shows up in your body language, voice, words and energy, organically. Renée Hasseldine brings guest speaker Mark Bowness for Networking Event and Chirstmas Party for one last time in 2017. • Wanting a brainstrust of business owners who are savvy, switched on and great at what they do, so that you can bounce your ideas off them and get important feedback? • Wanting to collaborate with others? • Wanting to learn new strategies from experts in their zone of genius so that you can take your business to the next level? Well, then THIS is the Meetup for YOU. Register now for the event for only $25 per person. There will be open discussion around strategies and knowledge sharing so that we can all benefit from each other’s knowledge. Connections will be made, stories told, tips shared and results achieved. Running a business can be lonely, especially in the age of Social Media, but it doesn’t have to be. We can help each other, support one another and enjoy the power of collaborative support.